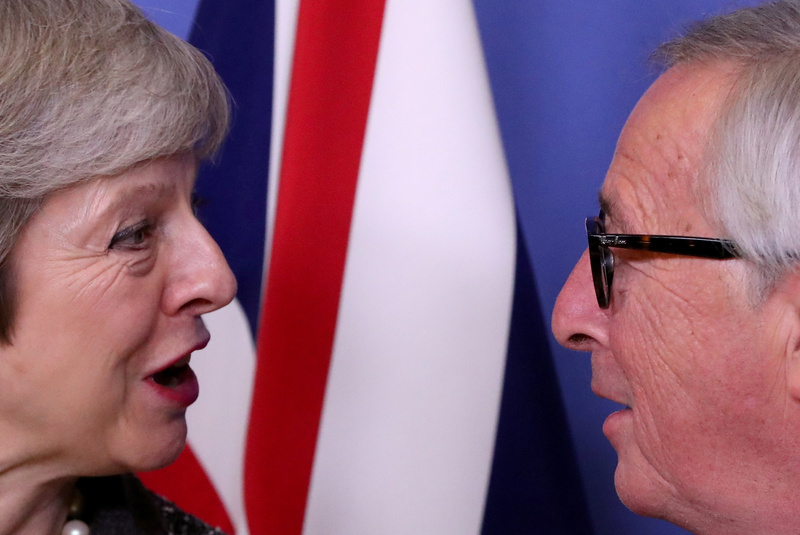 British Prime Minister Theresa May meets with European Commission President Jean-Claude Juncker to discuss Brexit, at the EU headquarters in Brussels, Belgium December 11, 2018. British Prime Minister Theresa May on Feb. 24 put off a vote in parliament on her Brexit deal as late as March 12, just 17 days before Britain is due to leave the European Union. On her way to an EU-Middle East summit, May said she was close to bringing home changes to her agreement that would satisfy objections to it, but needed time for meetings with European leaders. Yvette Cooper, an opposition lawmaker, has proposed a bill that could require the government to delay Brexit beyond March 29 if May’s deal does not secure a majority in parliament. Government officials have drawn up a series of options to extend the two-year process for leaving the EU by up to two months, the Telegraph reported on Feb. 25. Meanwhile, the Guardian reported that EU officials are exploring plans to delay Britain’s departure date until 2021. The pound was up slightly against the U.S. dollar at $1.306 by 0915 GMT on Feb. 25.